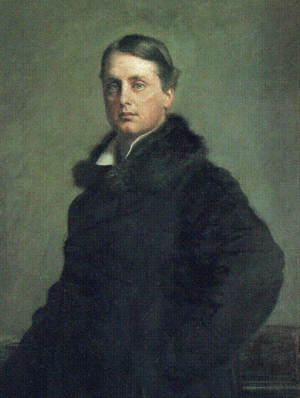 Archibald Philip Primrose, 5th Earl of Rosebery, KG, PC (7 May 1847–21 May 1929) was a British Liberal statesman and Prime Minister. As a Scottish peer he did not automatically have a seat in the House of Lords, so he was made Baron Roseberry in 1868, and the Earl of Midlothian in 1911. Dalmeny House was the ancestral seat of the Earls of Rosebery and the setting for Lord and Lady Rosebery's political houseparties. Archibald Primrose, 5th Earl of Rosebery Facts for Kids. Kiddle Encyclopedia.